Unplug from the Matrix AKA "How to Win the Resume Game"
Ah, resumes. The bane of job-seekers everywhere. But at least you know the rules of the game, right? But what if I told you that those are the wrong rules? And that you’re actually playing the wrong game??? Well that’s exactly what happened to me when I started hiring people a few years ago. Everything that I thought was true about applying for jobs turned out to be a mirage. And when I finally woke up, the worst part was realizing that millions of job-seekers are still asleep in their goo pods, getting their professional life juices sucked dry. This is no way to build a career! So, I've made it my mission in life to help them break free. And if you’re ready to take the red pill yourself, let me be your career-counseling Morpheus and help you escape, too! Following this approach seemed like a sure-fire way to get an "A" from some corporate "teacher" out there. After all, this by-the-book approach had always served me well in school. So many bullets, so many clubs! Clarity - What does it mean to be a member? Did you lead 5,000 students on a march on Washington? Or did you fork over your email address at the Activities Fair to get a free lanyard? Relevance - How will the skill of "membership" help you perform the job that's being hired for? Distinction - While you might argue that the content of the club establishes a special connection with your desired career path ("I'm in the Finance Club so Wall Street will know I'm serious! "), ask yourself this question: "Who else is in the Finance Club?" If the answer is "everyone else applying for this same job," then this bullet, by definition, doesn’t help you stand out from the pack! The bottom line is that the "Member of" bullet, though innocuous-seeming, actually hurts students' chances because it takes up scarce space without conveying anything useful. Given that, what could possibly compel so many students to jump, lemming-like, into the resume abyss? Go to school - "School will help me get a job"
Get directions - "Include extracurriculars on your resume!" Follow directions - "'Member of the Drama League.' Check." Get a reward - "Good job including your extracurriculars!" Rinse and repeat - "I didn't get the job so let me send this resume out again..."
Now, I've got a confession to make: Not only am I guilty of employing this exact same mindset as a student but, as a former teacher, I'm totally guilty of propagating this entire game. Indeed, there were many a day when 3 o’clock would roll around and Mr. Schifeling, on the verge of exhaustion, would bust out with “Ditto Time.” I’m sure you remember: Fill in the Blanks, Connect the Dots, Do as Teacher Says. And sure enough, the students who colored in the lines got the gold stars. In other words: Instruction -> Compliance -> Reward -> Dopamine Hit -> Brain Wiring #pagingdrpavlov. Is it any wonder these kids grew up to submit resumes that look just like dittos - each one a near carbon copy of the other? If the resume game we've been trained to play is disconnected from reality, how do we know what's actually real? The only surefire approach is to unplug all the filters society gives us and take a hard look at how hiring works. After all, being forced to hire others was the only thing that woke me up from my own illusions. That said, as someone who's now hired in both companies large and small, I can tell you that hiring is basically like looking for a needle in a haystack. You need to sew up a giant hole in your pants (i.e., the pain of not having enough people on your team to get the work done) but every time you look at that huge pile of hay (i.e., the endless pool of potential candidates), you feel like finding the needle (i.e., the right candidate) is hopeless. Where the f*** is that needle??? So differentiation is the true resume game. But what are the rules? Some employers' haystacks are more like hay mountains. For instance, Google gets 3 million applications each year for just 7,000 jobs. In this case, it would be too expensive to hire an army of recruiters to read every single resume. So, as companies have been doing since the Industrial Revolution, they bring in machines to help out. Unlike the Matrix, I’m happy to report that your computer “opponent” is actually not a super-intelligent AI hell-bent on the destruction of mankind (as much as those automated rejection letters might make you think so…). Instead, it's much more like another cinematic bit of geekery: Mr. Spell from Toy Story. "I ENJOYED CRUSHING YOUR DREAMS"
That’s right, before your resume even gets read by a person, it may well be screened by a relatively simple text search. Because employers want to focus precious “human time” on qualified candidates, the computer algorithm first looks for keywords that indicate you’re worthy of consideration by its humanoid overseers. So how do you find these keywords that the algorithm is looking for? The easiest place to look is in the job description itself. And, specifically, focus your attention on the words that are distinctive to THAT job. This means don’t worry about the stuff that every job calls for - and that are really too fuzzy to judge from a resume: Teamwork, Communication, Leadership, Organization. Instead, zoom in on the things you’d only need for this kind of role: Product Marketing, SEO, Social Media Marketing, A/B Testing. Once you understand the importance of specific keywords to the Machine's game, make sure that they’re covered in your resume. Not in a spammy or fake way (remember, you still need to pass the human test next), but in an authentic way that represents what you actually did. While we may yet still develop Matrix-like AI, your truly toughest challenge is the flesh-and-blood human reading your resume. That’s because, unlike the computer whose cold, hard logic can easily be reverse-engineered, our species’ fuzzy decision-making is difficult to nail down. For example, even some of the best recruiters I know have a hard time explaining what made them choose one resume over another. "I just know a great candidate when I see one" is a common refrain. Now, the ironic thing here is that, contrary to all the claims of a "skills gap," I never found a shortage of people who could do the job. Especially since the computer had already screened for qualifications. But I always, always had a scarcity of exciting candidates. Why? Because of the exact game that I alluded to at the outset. So many potentially inspiring candidates cloak themselves in a garb of conservative, boring language (i.e., playing by the resume "rules" we learn early on) that it was just impossible to be certain. And yet, that gut-instinct positive impression is so critical. Not only did I need an all-star to handle the sheer amount and complexity of work my team faced but, on a more basic human level, I - like any other living, breathing non-robot - am attracted to success and charisma. It's that same primal magnetism that make us want to spend time with smart, interesting people. Especially because if I’m going to spend more waking hours with this person everyday than my own wife or child, I want to make sure that time will be well-spent. Life is just too short to work with mediocre, dull teammates! OK, but how do you cast off that boring cloak and really play this game the way it’s meant to be played? 1) Make sure that your bullets are super clear. Too many bullets are either way too vague (“Member of the Chess Club” - again, what does that actually mean? Were you the next Bobby Fischer or the timekeeper???) or way too specific to a world the recruiter knows nothing about (“King of Gambits, Chess Club; ” - huh? Is this a Game of Thrones thing???). 2) Make sure that your bullets pop. 1) Specific skills - Check. 2) Quantified results - You actually got the club's site onto the first page of search results. 3) Signifiers of quality - You didn't just do it for some niche search engine, you did it for Google. 4) Interesting stories - You did it all with no marketing budget. "Webmaster" - OK, I get what you did. "SEO and social media" - Hey, that’s what I need. "first page of Google results with no marketing budget" - Woah. Total. Baller. 1) Don’t think of your resume as a collection of random stuff you’ve done that fits into the format that society's handed you. Instead, see it for what it really is: An incredibly limited opportunity to win a hyper-competitive game. Just like if you owned a block of Park Avenue, you wouldn’t put up a strip mall with a KFC and a Pizza Hut. Instead, you’d make sure that precious real estate was home to the most beautiful, profitable buildings in the world. So apply the same filter to your precious resume real estate. Are there any keywords that would make the computer happy? Would it be clear to a non-omniscient human who didn’t go to my school/work in my company? Does it hit at least two of our human attention triggers? If it doesn't win at least one of the man/machine games and ideally both, rework it until it does. And if you can’t, get rid of it. Your 15 seconds of allotted human attention is too short to waste on even one generic, boring bullet. "Goodbye Mr. Weak-Sauce Resume Bullet..."
3) Then, once you win the game, start spreading the new rules. Because too many people all around the world are still stuck in the pods, just like I was. And their careers are stuck in there with them. So let's start busting 'em out! PS: Two more things. First, get a free checklist to make sure your resume is hitting these points. And once you do, then please share it with others! 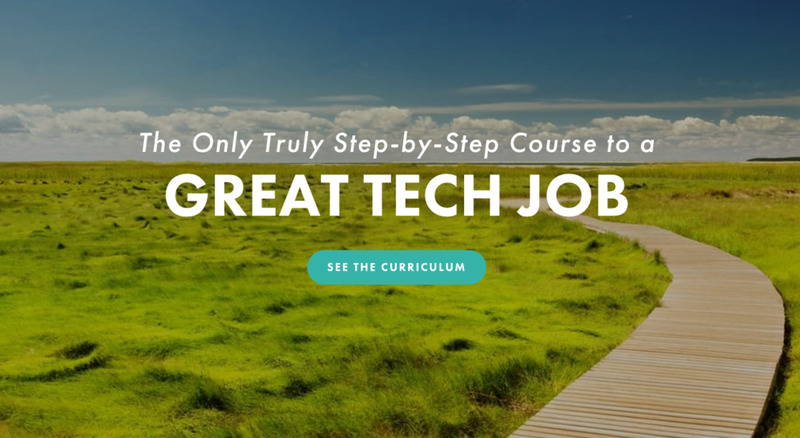 Want the Perfect Tech Resume?